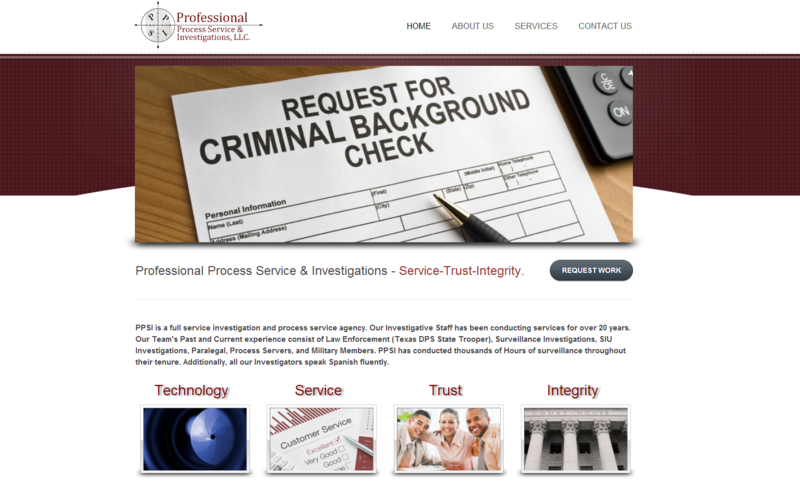 Professional Process Service and Investigations hired a web developer who failed to meet their expectations. 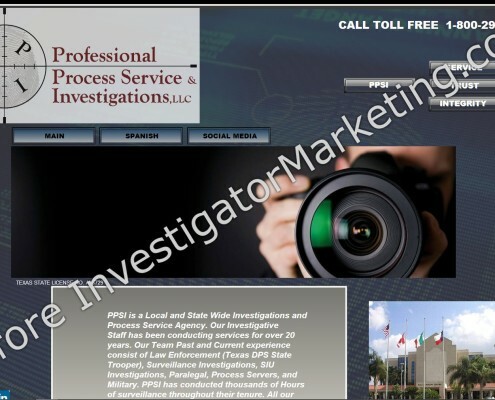 Not only did they pay 2 times more than what they paid Investigator Marketing, PPSI received a webpage that failed to incorporate current internet practices. 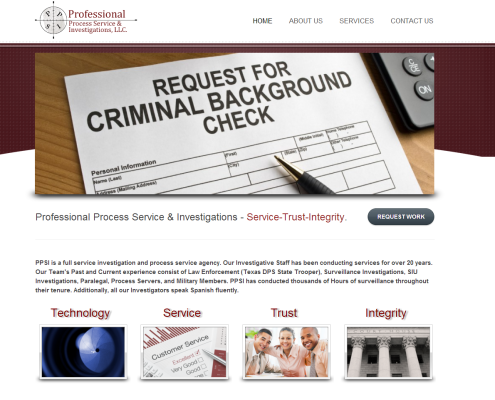 PPSI needed a complete re-design of their website and marketing campaigns. 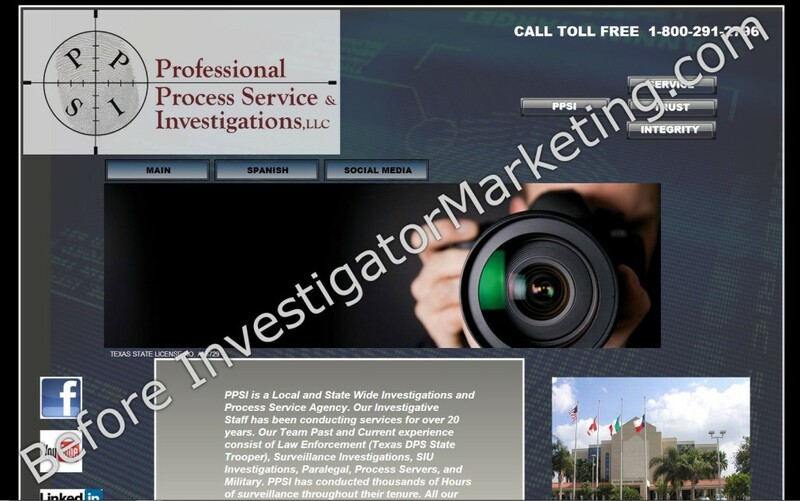 The site needed to incorporate images that matched his brand and needed to have basic SEO services incorporated into the page to help him rank higher in google. 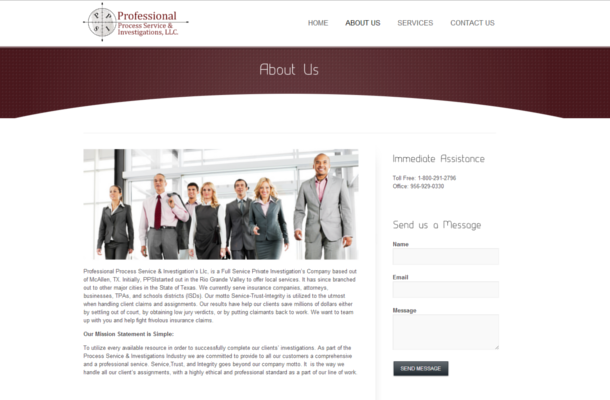 We were able to design and install a website that was easy to navigate, and it delivered their message across the right people. 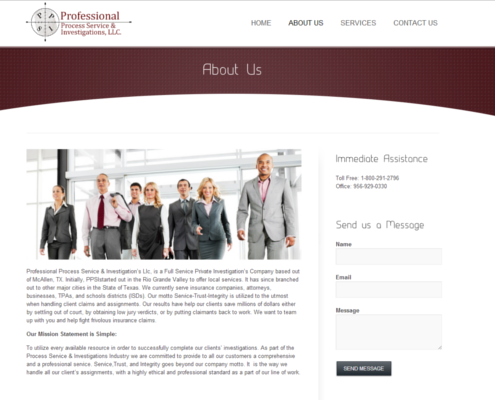 The site was completed 48 hours after receiving the assignment.